Three years ago on St. Patty’s day we went in for our first fresh egg transfer. It was St. Patrick’s Day which kind of goes along with a “feeling lucky” theme so I couldn’t help but think it was a good omen for us. How could we not “get lucky” on St. Patrick’s Day? 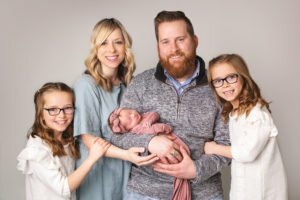 After months of endless doctor appointments, countless shots, pills, vitamins and medications, and several unpleasant procedures- our first go with IVF simply had to work. I remember being hopeful that it would, but I was not unfamiliar with failed fertility procedures either so I knew that there would be a chance that it would not be successful. But our transfer landing on St. Patty’s Day gave me a little extra glimmer of hope on that day three years ago. Looking back I can see how even though we did not end up with a baby from IVF- all was not lost. Three years later I can see more clearly and the wounds aren’t as deep for which I am grateful. Time also allows the blessing of perspective- and my perspective has altered since then , too. We ended up having a chemical pregnancy which is a very early pregnancy loss- but to me- I feel “lucky” that my body did stay pregnant even if it was only for mere weeks. And for those few days after getting a positive pregnancy test- I could say that yes, I was pregnant. Even though our pregnancy wasn’t going to last I needed that glimmer of hope- and it was a blessing that was needed for me individually at that time. So I don’t actually believe in being lucky- I believe in being blessed. In life we all receive blessings. They won’t be the same as others either. And sometimes that is hard. So hard. Through our infertility I am coming to learn that just because I don’t receive the same blessings as someone else, doesn’t mean I am less deserving. It doesn’t mean I did anything wrong or that someone else is better than me. It just means our blessings are different. Our trials are different. Even if our hearts ache and mourn for that which we do not receive it does not mean we don’t receive blessings in other ways. And it doesn’t mean that we are less than others or not good enough than someone else either. I’m reminded of a quote that I love. Later this year will mark three years since our second round of IVF that ended in a chemical pregnancy. It might seem hard to see the silver lining in our hard moments. Infertility has shaped me, it has broken me and it has strengthened me. And that strength is a blessing. It has forced me to see the amazing blessings I have- while teaching me to never give up hope or faith. It has reminded me that putting in so much time and energy and effort into a good cause, such as having children, is a noble and worthy thing. It has built character that has helped me in other aspects of my life. If you are reading this and have recently lost a pregnancy, or experienced a failed fertility treatment or yet again received one more negative pregnancy test I want to tell you that hope is not lost. You are not blessed any less that anyone else- you are just blessed differently. You may feel broken, and sad and mad and angry and that is okay. But I want to tell you to look for the blessings, too. Even if it takes weeks, or months or even years to look back on this time to see it- I hope that one day you will. How could I not have known about all these beautiful blog posts you are writing??? I am so proud of you, your faith, and your ability to share such heartfelt insights. I love you, my daughter!